Should the Broncos seriously consider benching Peyton Manning? The question has to be asked: Is it time to consider benching Peyton Manning — the greatest quarterback in Denver Broncos’ history not named John Elway — in favor of backup Brock Osweiler? It’s sacrilege in some ways to even consider such a move. 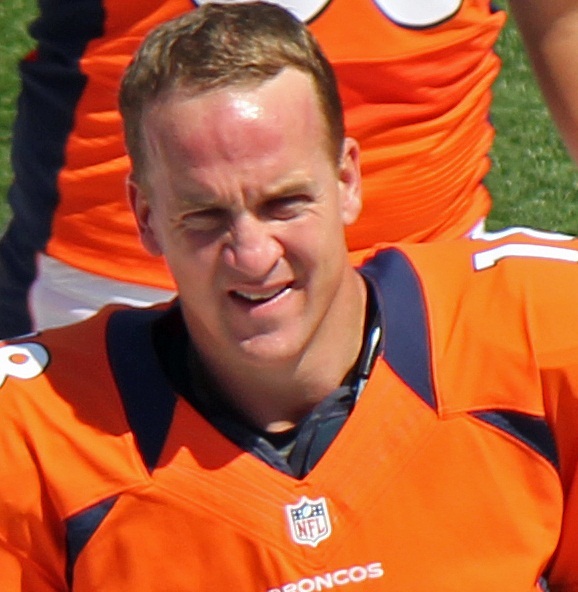 After all, Manning is very nearly the greatest regular-season quarterback in NFL history with 184 career victories as a starter (43 as a Bronco). That’s just two wins behind Brett Favre for the all-time wins mark. Elway is fourth on that list with 148 — all for the Broncos. But the big difference between Elway and Manning is in the post-season, where Manning’s current boss guided Denver to five Super Bowls and won two of them. Manning is oh-for-one in his short Broncos’ Super Bowl history, and that one loss was an epic beat down by the Seattle Seahawks that very closely resembled Elway’s first three Super Bowl debacles. So how does Manning get his second ring to match Elway’s total and pull even with his bro, Eli? Well. Elway got his first Super Bowl win with a dominating defense and an even more dominating running game led by a vicious crackback-blocking line and the greatest running back in Broncos’ history, Terrell Davis. The 2015 version of the Broncos has an even more dominant defense than the late-90s edition. But the running game is non-existent. Even though the offensive coordinator for the back-to-back Super Bowl-winning Denver teams is now the head coach (Gary Kubiak), the 2015 running game ranks a pathetic 30th in the league. Some bloggers are suggesting the main culprit is Manning’s inability to play under center and roll back to pass. His insistence on staying in the shotgun or the pistol inhibits the running backs’ ability to read the holes and gain bigger chunks of yardage behind a young and inexperienced offensive line. Couple that with Manning’s obvious decline in arm strength (virtually all his deep balls are floated and under-thrown) and the Broncos’ offense has become a liability that could keep this team from locking down home-field advantage or even making the playoffs, although that seems far-fetched now that they’re 5-0 and in control of the division. Still, that was the easy part of the schedule. Get a win in Cleveland next Sunday and the Broncos should be 6-0 heading into the bye, with four of those games on the road. While six of the final 10 games will then be in Denver, three of those home games are against the Green Bay Packers, New England Patriots and Cincinnati Bengals (all currently among the ranks of the undefeated). There is no doubt that on Sunday in Oakland, Manning — who in all fairness threw two passes that should have been caught in the end zone — almost cost the Broncos the game. His two interceptions were bad ones that kept the Raiders in the game, and if Oakland just hits two very makeable field goals and Derek Carr doesn’t throw a late pick-six, the Broncos fall to 4-1. Is it time to see what Osweiler, who had an excellent preseason, can do when the games really matter? Is it time to let him hold the reins and get used to being a starter over the next 11 games so he’s battle-tested for the playoffs? I don’t think so. Manning and Elway have some sort of pact. Clearly Elway told him to come back for one more season with a rebooted coaching staff and give it more shot. He can’t bench the man now. I know the team may be squandering its best defense in years by fielding a putrid offense, but Manning has earned the right to go out on his own terms, and he still has not cost the Broncos a victory. It’s been close, and there may come a time in the not-so-distant future where he does start costing them wins. That’s when Elway may have to pull the plug. But in fairness to Manning, he’s working behind the worst O line he’s had in Denver, and a brand-new coaching staff. All of that needs to continue to jell before you can seriously consider benching a first-ballot Hall of Famer. However, it’s a fine line between honoring his legacy and squandering one of Denver’s all-time greatest defensive squads. Consider this: The Broncos right now are scoring fewer offensive touchdowns (1.7 per 60 minutes) than they did with Tim Tebow at the helm (2 per 60), and Manning has thrown more interceptions this season (7) than touchdowns (6). Those are some crazy stats that one day soon may cry out for a change. I just don’t think that time is now.